A set of 4 letter-pressed postcards I created for Queensland exhibtion 'Greetings From'. Each bespoke postcard features one of Australia's four deadliest snakes, surrounded by it's natural flora. 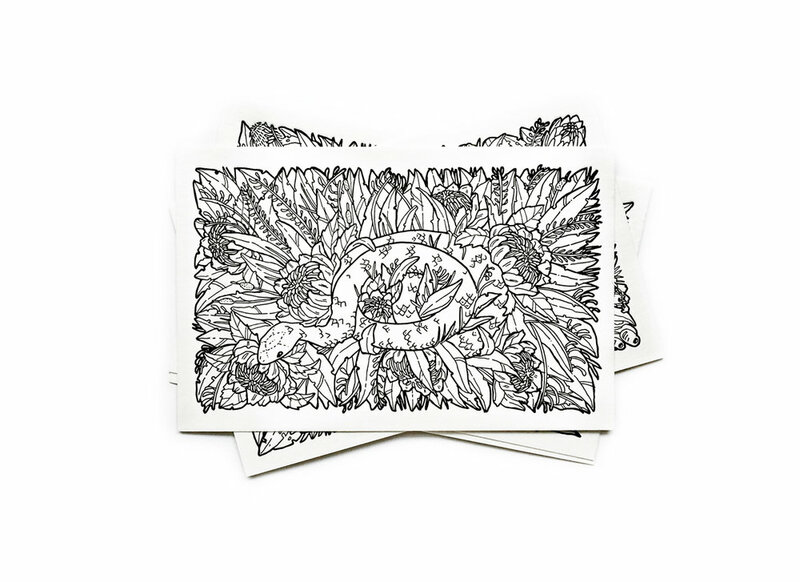 Packs of 4 postcards are available for 25 dollarydoos. Letterpress by Little Peach Co.